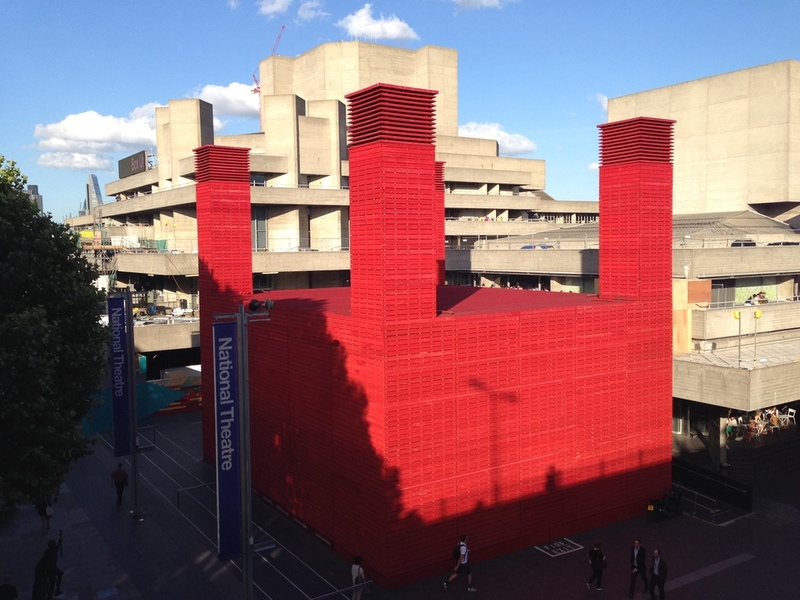 Originally called 'The Shed' when it first opened in March 2013, the Temporary Theatre run by and to the front of the National Theatre, is unmissable thanks to its brilliant red colour and power station-like towers. Originally intended as a temporary venue, to be used for twelve months while the Cottesloe closed and became the Dorfman Theatre, the design by Haworth Tompkins has proved so popular that the structure still remains in place. Inside the red, rough sawn timber cladding is a 225-seat auditorium which hosts a diverse programme of new work from experimental and cutting-edge theatre-makers. What are the best dining options near Temporary Theatre (formerly The Shed) London? Temporary Theatre (formerly The Shed) gyms, sporting activities, health & beauty and fitness. The best pubs near London Temporary Theatre (formerly The Shed). Temporary Theatre (formerly The Shed) clubs, bars, cabaret nights, casinos and interesting nightlife. Where to have your meeting, conference, exhibition, private dining or training course near Temporary Theatre (formerly The Shed). From cheap budget places to stay to luxury 5 star hotels see our special offers for Temporary Theatre (formerly The Shed) hotels, including Sea Containers London from 0% off.